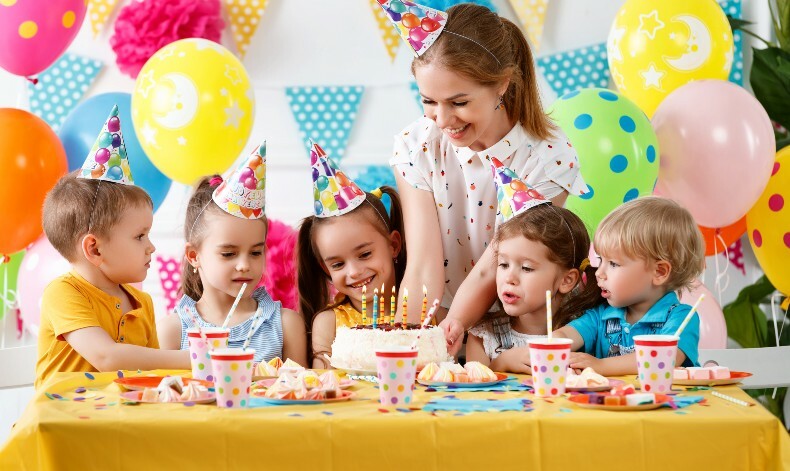 We have some fun party ideas suitable for indoors that will keep the kids entertained and shouldn’t mean too much time or money for you so a win/win really! You don’t necessarily need to host a sleepover to have an indoor camping party - younger kids may not want to sleepover. All you need is a space big enough to house a few kids, the sitting room is usually best. If you have a tent all the better, pop it up in your living room for an authentic experience. If you’re crafty and don’t have a lot of kids in attendance you can make some cute Teepee Tent for the occasion. Hang some fairy lights and grab some board games to play on your camping adventure. Classics like charades and telling stories are also great for your indoor camping party! Make some smores for an authentic feeling. This is exactly what it sounds like if we’re honest, a party filled with dancing! What’s more exciting? Grab some streamers to decorate, and if you can find a disco ball all the better! If not, string up some multi-coloured lights (Christmas ones, or battery operated ones found in stores like Penneys), your phone or TV can provide the music and voila! You’ve got yourself a disco! Make the party themed if you like, think 70’s tulle skirts or 80’s leg warmers! Remember to keep food and drink out of the way as the dancing could get out of hand and we don’t want any major messes! You can mix it up with games like musical statues as well. Photo by Lidya Nada on Unsplash. No room at the dining table for a few kids to do crafts? Use the floor! Grab some old newspapers and tape them together to form a sort of newspaper carpet. Lay it down on a space big enough to accommodate all the kids and get arting and crafting! Advise parents to pack an old t-shirt etc to keep kids clothes clean. You’ll need paint, paper, paint brushes, glitter - the works! You can find some ideas here! If you have a projector or access to one, now is the time to break it out! If not, a TV will do! Get your little ones favourite movie ready and screen it for the ultimate movie party experience! Pop up some fairy lights, if you have bean bags or comfy chairs scatter them in front of the screen. You can get cute props like a mini popcorn/hot dog stand, or an ice cream stand to add to the experience. Make it a marathon and hand out snacks and finger foods for dinner as the movies play in cute little containers like these. Photo by Viktor Forgacs on Unsplash.